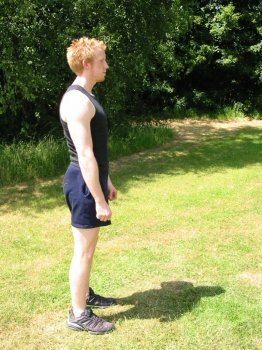 Stand up straight as in pic 1, then step forward with one of your legs and bend your knee as in pic 2. 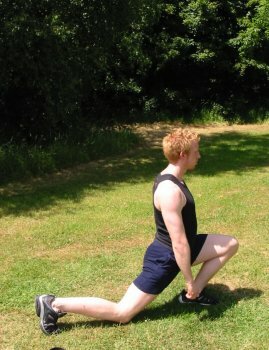 Do not allow your knee to come further forward than your foot, then straighten your leg and step back (Pic 2 will be upgraded as soon as I can borrow a digital camera!). Alternate legs each time.